As you may have noticed, 2019 is hurtling toward us. This means it’s time for some sustained and furious plotting at Raging Swan Press’s Planar HQ. To better plot our 2019 release schedule I turned to the heroic members of our Patreon campaign. Our patrons are one of the key components of our success over the past few years and I want to provide—as much as possible—the products they want to read and use. 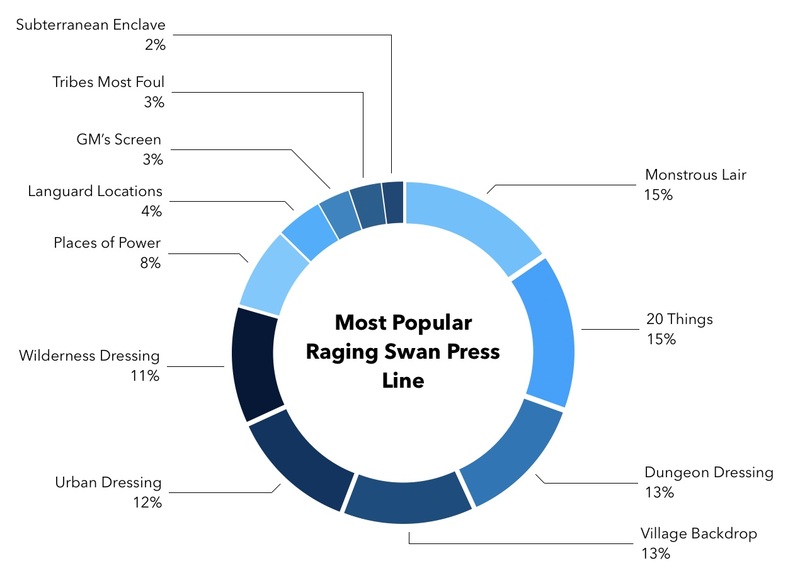 It turns out that by a tiny margin, the Monstrous Lair line is our most popular—followed swiftly by 20 Things. I love writing descriptive fluff—dressing—and I’m delighted to know our patrons love it as well! Prior to this survey, I was thinking of cancelling, or changing, the Monstrous Lair line. Suffice to say, that plan is now in the dustbin. As an aside, I’m also intrigued to learn that one of our smallest lines in terms of words and page count is one of our most popular. I’d also been considering a couple of short Dunstone Locations and Dulwich Locations lines for later in the year, but given Languard Location’s placement in the survey results it doesn’t seem like this would be the greatest idea in the world. 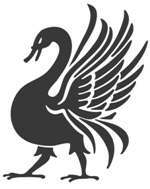 At Raging Swan Press we produce three versions (5e, Pathfinder and System Neutral editions) of most of our products. This week, I’m finding out which is the most popular of the three versions. Obviously, the impending arrival of Pathfinder 2 is on the horizon and it seems like a good idea to understand which of the various editions our patrons find most valuable. 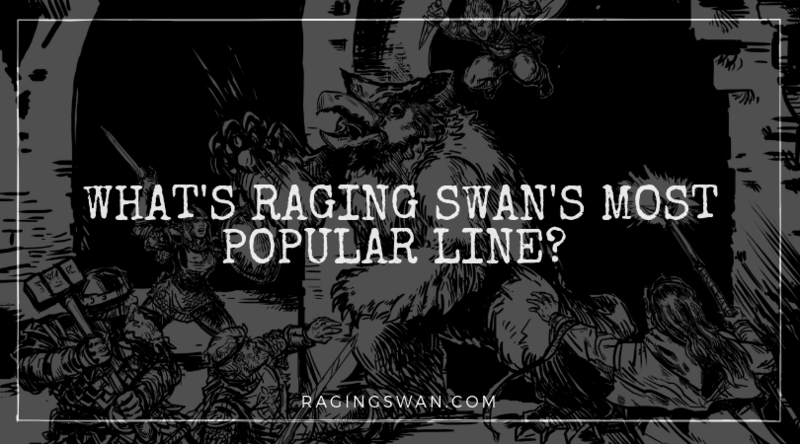 What’s your favourite Raging Swan Press line or edition? Let me know in the comments below, or sign up to our Patreon Campaign and answer the surveys there. My own narcissism aside, I have enjoyed following your work and I can’t wait to see what the new year will bring! I tend to get your System Neutral versions. I’m more old school than 5e or Pathfinder. I do have to say, it was exceptionally difficult to choose just one favorite line. Off the top of my head, I can’t think of a single RSP product I did not find useful. I’m not sure how other voters feel, but having the opportunity to choose just one product line to “like” may cast a somewhat inaccurate light on some of the lines. Perhaps a ranking-type vote (“rank the lines in terms of most usefulness from 1st to 10th” or something) would generate even more honed-in results. And as an aside on the comment about the LL line in the article above, even though I believe I voted for the Dungeon Dressing line, I also loved the Languard Locations. City planning is very tedious, much more so than dungeon design, and having a fully-realized, living city to drop into a campaign is miraculous! I’d certainly love to see more cities and villages crafted in this way! Completely agree with Eric. I find most of these lines useful, and choosing just one as a favorite is a bit of an exercise in throwing darts at a board. I also found Languard Locations tremendously useful, and would be sad to see it, or other lines of its ilk, go the way of the dustbin. I think potentially generating a different type of poll, perhaps utilizing Eric’s ranked-choice voting idea, might generate even more interesting (and different) results. I concur with the need for another more exhaustive poll, in terms of what these results were many of them have very similar stats, I mean 6 are all there within a few percentage points.